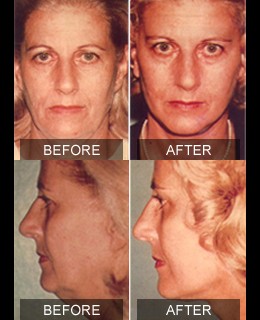 jowls or loss of a well-defined jaw line associated with youthfulness. deep wrinkles in the cheeks and sagging of the “highlight” areas of the cheekbones. loose skin, wrinkles, vertical “cords” or excess fatty tissue in the neck. A facelift can improve all of these problems. It cannot, however, correct conditions such as sagging eyebrows, excess skin and fatty deposits in the upper and lower eyelids, or wrinkles around the mouth. Dr. Ruder can provide further information if you have an interest in other procedures to treat these areas. How will Dr. Ruder evaluate me for a facelift surgery? During the initial consultation, Dr. Ruder may ask you to look in a mirror and point out exactly what you would like to see improved. Sometimes, patients may focus their attention on excess skin in the upper eyelids and not realize that sagging of their eyebrows contributes to this skin redundancy. You should be very frank in discussing anything about your appearance that bothers you, as well as what you hope to achieve with surgery. This will help your surgeon to understand your expectations and determine whether they can realistically be achieved. In evaluating you for facelift surgery, Dr. Ruder will assess the thickness, texture and elasticity of your skin, and the severity of wrinkles and folds.  Your hairline will be examined to determine where incisions can be discreetly placed. All of these factors, as well as your bone structure and underlying tissues, will be considered in developing an individual surgical plan. Dr. Ruder may discuss with you additional procedures that can be performed along with a facelift in order to address all the concerns you have identified. For example, a facelift is frequently combined with a forehead lift, eyelid surgery, nose reshaping or skin treatments such as a chemical peel, dermabrasion or laser resurfacing. The subject of risks and potential complications of surgery is best discussed on a personal basis between you and Dr. Ruder, or with a staff member in Dr. Ruder’s office. Some of the potential complications that may be discussed with you include hematoma (an accumulation of blood under the skin that may require removal), infection and reactions to anesthesia. While plastic surgeons are trained in techniques for safely manipulating facial skin and tissue, injury to underlying structures is possible, though it is usually only temporary. Facelift incisions are most often inconspicuous, but this is not entirely predicable due to individual variations in healing. You can help minimize certain risks by following the advice and instructions of Dr. Ruder, both before and after surgery. The goal of Dr. Ruder and the entire staff is to make your surgical experience as easy and comfortable for you as possible. If you are a smoker, you will be asked to stop smoking well in advance of surgery. Aspirin and certain anti-inflammatory drugs can cause increased bleeding, so you should avoid taking these medications for a period of time before surgery. Dr. Ruder will advise you and provide additional preoperative instructions. If your hair if very short, you may want to let it grow enough to cover your incisions while they heal. If you are overweight and you have a realistic desire to lose more than 15 pounds, you should discuss this with Dr. Ruder. If your facelift will be performed on an outpatient basis, be sure to arrange for someone to drive you home and to stay with you at least the first night following surgery. What will the day of surgery be like? 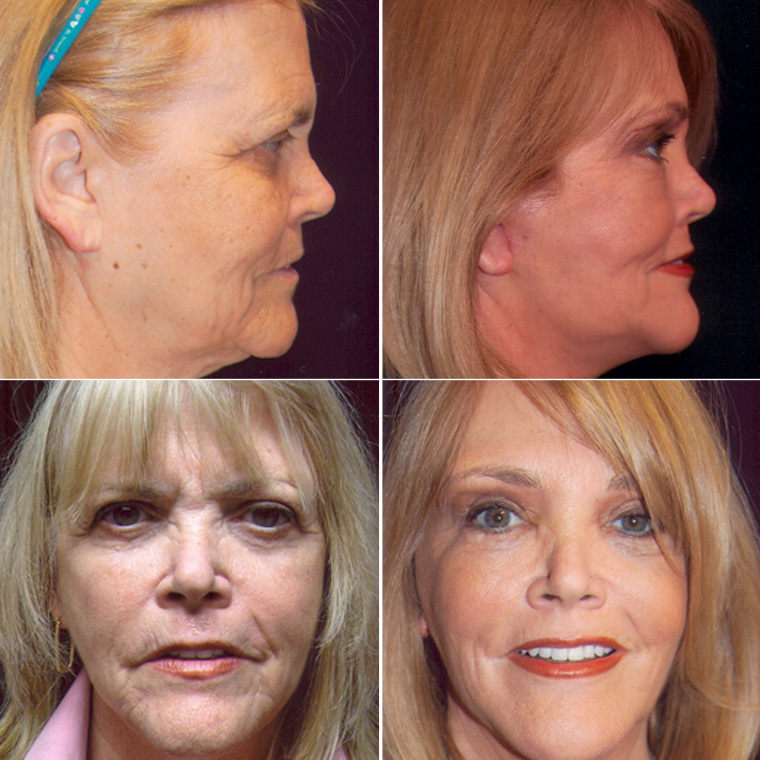 Your facelift may be performed in a hospital, free-standing ambulatory facility or office-based surgical suite. Medications are administered for your comfort during the surgical procedure. You and Dr. Ruder will have decided in advance what type of anesthesia is to be used, either intravenous sedation or general anesthesia. For your safety during the operation, various monitors are used to check your heart, blood pressure, pulse and the amount of oxygen circulation in your blood. When surgery is completed, you will be taken into a recovery area where you will continue to be closely monitored. A bandage may have been wrapped around your face to be closely monitored. Sometimes small tubes will have been inserted beneath the skin to drain away fluids that might otherwise accumulate, but you will not feel these at all. It fact, there is surprisingly little discomfort from the surgery. You probably will be permitted to go home after a few hours, although some patients may stay overnight in the hospital or surgical facility. It is important to realize that the amount of time it takes for recovery varies greatly among individuals. After surgery, you will be asked to restrict your activities and simply relax for a few days. Elevating your head when you sleep will help to minimize swelling and bruising. Remember, you must not take aspirin or certain anti-inflammatory medications, and you should not smoke or be exposed to heavy secondary smoke for a while. Any bandages and drain tubes will usually be removed in one or two days. At that time, you will notice puffiness and discoloration which may be more pronounced in some portions of your face than others. Do not be alarmed by any unevenness or temporary asymmetry caused by this variance in swelling and bruising, which is perfectly normal. Generally, the greatest amount of swelling occurs 24 to 48 hours after surgery, but it may take several weeks before all puffiness is resolved. Most bruising will disappear within two weeks. After a few days, you will be permitted to wear makeup which will help conceal any discoloration. You will also experience some numbness in the facial area, which may be present for several weeks or longer. Your stitches will be removed from four to seven days after surgery. Straining, bending and lifting should be avoided during the early postoperative period. In many instances, you will be able to resume most of your normal activities within two weeks and begin to exercise three to four weeks after surgery. You will be instructed to temporarily avoid exposure to direct sunlight and, for the long-term, to be conscientious about the use of a sun block to protect your skin. 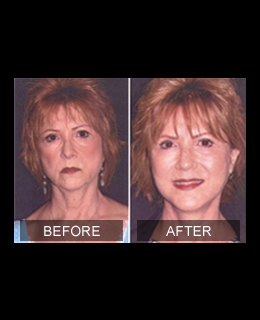 Results of Your Facelift The results of your facelift may be dramatic or subtle, depending on how you look before surgery as well as the specific goals that you and Dr. Ruder have established. Since the healing process is gradual, you should expect to wait at least several weeks for an accurate picture of your “new look.” Additional minor changes, or settling, may occur over several months. Maintaining a Relationship with Dr. Ruder You will return to Dr. Ruder’s office for follow-up care at prescribed intervals, at which time your progress will be evaluated. Please remember that the relationship with Dr. Ruder does not end when you leave the operating room. If you have questions or concerns during your recovery, or need additional information at a later time, you should contact Dr. Ruder.